Company President Trent Mulloy jokes about his family being “the ‘new owners” of Laurel Machine and Foundry. The Laurel, Mississippi business started in 1904 as a parts supplier for Lindsey Eight-Wheel Wagon Company. But brothers James and Richard Mulloy purchased the business in 1911, so the Mulloys have only operated it for a century – plus. And they do it for Nissan, which is just 80 miles away in Canton, Mississippi. “I didn’t know what we were getting into but knew we had to get into it. This is where we needed to be, ” Mulloy recalls. The company – that in 1929 helped William H. Mason build a mechanism to transform sawdust into the particle board later named “Masonite” – decades later partnered with Nissan. And Jones County’s enterprise in metal discovered the road to building cars is paved with a learning process. Mulloy’s facility quickly learned to constantly adhere to two seemingly opposite guiding principles of the automotive industry: cutting-edge computer – robotic technology and old-fashioned human know-how. You learn it, live it, or leave it, as Mulloy notes. But, Mulloy said, no matter how much a factory automates, computerizes, and razzle-dazzles in assembly lines, humans are the common denominator. Automation still requires human interaction. “We’ve learned that even though every year production lines become more automated and computerized, at the end of the day, people make it happen, ” adds Mulloy. L.M.F. fills the support niche. Of the approximately 30, 000 parts on a Nissan vehicle, Laurel Machine and Foundry supplies zero. But parts and equipment to move, assemble, and inventory vehicle components? -that’s what L.M.F. provides. “We make parts for equipment, processes, and support for those who make the car parts, ” Mulloy says. L.M.F. is a Tier 2 operation, supporting equipment, tools and, production lines that make the vehicle. L.M.F. today includes a 50, 000 square-foot foundry division and 30, 000 square-feet Machining Division – the largest such center in Mississippi. About 130 employees typically run two shifts working with metal in all forms. Molten liquid iron is melted at 2, 600 degrees and poured as glowing orange lava into massive vessels. On the other end of the line, precisely defined, measured down to the micron, steel pins are made to order. Some are small enough to fit in shirt pockets, yet big enough to determine if a process runs or shuts down. Adding “automotive industry supplier” to an established foundry’s repertoire is a long and continuous process. “There are always opportunities, ” adds Mulloy, “but since we don’t make actual auto parts, reconfiguring our center wasn’t a big necessity.’ The plant was not reconfigured, but a mindset was. Becoming a Nissan supplier is one thing. Keeping that opportunity depends on the ability to turn on a dime, he says. Need is dependent on cooperation between companies located in Laurel, Canton, and Japan. “We are often busiest when Nissan launches new models, ” notes Mulloy, “especially when ramping up. When they start building equipment and assembly lines, so do we. One year Nissan launched 7 new models at one time. “It got crazy down here, ” he says. But it’s a good crazy, one L.M.F. believes is integral to Mississippi’s industrial future. Industry insiders are often frustrated how little the general public knows of career opportunities in the automotive field outside of Detroit. There is a future in Mississippi, especially for towns like Clanton and Laurel, and Mulloy wants to spread the word. L.M.F. wants to grow the share of automotive business supported by its 50, 000 foot foundry and 30, 000 foot machining divisions. Photo courtesy of L.M.F. Mulloy is a member of the board of directors of the Mississippi Automotive Manufacturers Association (MAMA), which, among other things, promotes automotive education in Mississippi junior colleges and universities and encourages young people to enter a business where well-trained workers are always in demand. 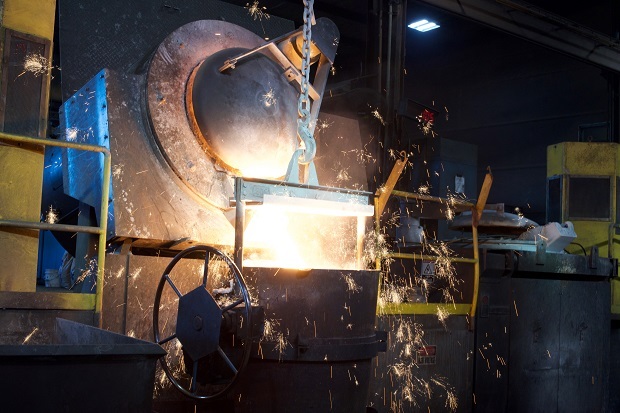 The stability is the latest chapter for Laurel Machine and Foundry, the Jones County company with a century’s experience, that suppled timber carts, helped produce Masonite, handles metal from forging to selling, and paves the way for cars rolling off Mississippi assembly lines. Text By Emmett Burnett/Photos Emmett Burnett and L.M.F.